Serene Hills opening last luxury homesites in Las Colinas del Lago neighborhood. Pre-construction on Las Colinas del Lago is nearly complete and properties on the highest elevations in Lakeway are now available to purchase. Serene Hills, a luxury residential community in Lakeway where nature is everyone’s neighbor, is opening its final subdivision, Las Colinas del Lago. 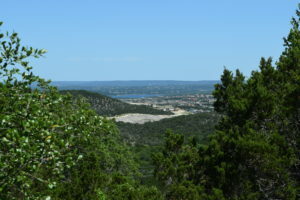 This neighborhood features 20 exclusive lots offering some of the best vantages for enjoying beautiful Texas Hill Country and stunning lake views. Pre-construction on Las Colinas del Lago is nearing completion, and homesites, which are on the highest elevations in Lakeway, are now available to purchase. These final 20 remarkable properties in Serene Hills are 130-front-foot lots and range from .6 to 2.5 acres. Las Colinas del Lago homesites are larger and offer privacy, variety and character. In addition to hilltop views, lot options in this Las Colinas expansion boast large, flat building sites that foster a myriad of design options. Eppright Homes a highly respected Austin custom home builder – will offer exclusive designs for buyers seeking gracious living in the truly natural setting that Las Colinas del Lago provides. Homes from Eppright can be uniquely tailored to their locations with custom considerations for privacy, window placement, outdoor living, views, tree coverage and more. Visionary design, architecture and engineering from these renowned builders can maximize the available lake views in this beautiful neighborhood. Situated near Lake Travis, Serene Hills is a one-of-a-kind boutique community combining lake living and the beauty of Texas Hill Country. Within Serene Hills, Las Colinas del Lago offers rare opportunities for larger, estate-like homesites in a convenient Lakeway location. Residents will enjoy miles of hike and bike trails, and children will have access to blue-ribbon schools within Lake Travis ISD. Las Colinas del Lago residents will appreciate Serene Hills’ efforts encouraging conservation and the community’s commitment to preserving local historical value and native wildlife. To learn more about Eppright Homes’ offering in Las Colinas del Lago-Serene Hills, contact Doug Clark at (512) 751-2099 or visit www.epprighthomes.com. For information about other luxurious Hill Country living available at Serene Hills, visit http://www.serene-hills.com/. Homes in the Los Colinas del Lago neighborhood in Serene Hills can be uniquely tailored to their locations with a multitude of custom considerations. Las Colinas del Lago has 20 exclusive lots ranging from .6 to 2.5 acres on the highest elevations in Lakeway offering stunning views.